Acupuncture is a medical practice which works through the stimulation of specific points on the body by inserting thin needles through the skin. Among the most popular Traditional Chinese Medicine (TCM) practices in the west today, it focuses on realigning a person’s “Qi” or energy flow, which has been upset and is causing them their current health problem. At our Redondo Beach center, we use acupuncture as a means to treat various diseases, stress, and pain. If you have not tasted its benefits yet, the main question you are carrying is whether it hurts. It does not, and in fact, the treatment actually relieves you of any existing pain, even if you were unaware of it before walking into a session. Suffice to say that physical pain would no longer be one of your issues. Among the main health conditions, acupuncture is able to treat are muscle pain and spasms, headaches and migraines, chronic back pain and related problems, osteoarthritis, neck pain, allergies, knee pain, depression, and digestive problems. We use best practices to ensure your treatment sessions with us are safe, pleasant, and effective to the maximum. The FDA requires acupuncture needles to be “sterile, nontoxic, and labeled for single use by qualified practitioners only”, and we adhere to that requirement religiously. When you come to us, the first thing we do is take your details and medical history, because that is crucial to the choice of treatment techniques. We then conduct a physical examination to find out about your posture, skin tone, body type, etc, as well as examine your pulse and meridians. Following questions about your pain, digestion, diet, sleep, and sensory function, we are ready to draw out a treatment plan that suits you. A holistic approach is central to acupuncture, in that no detail is ignored. Your treatment is also supplemented with advice and assistance regarding exercise, and dietary and lifestyle changes. If you hate needles, our acupuncturist can use alternative methods to realign your Qi, such as moxibustion, frequency approaches, and polarity devices. 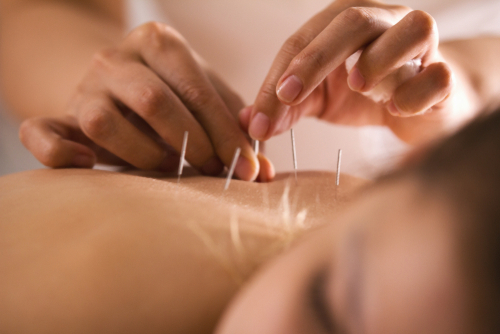 Each of our acupuncturists is versed in the use of several techniques. As a patient, you would get to choose the one you are most comfortable with. We prefer to have you in control of the way you are treated because having you at ease is a requisite for the process to be effective.